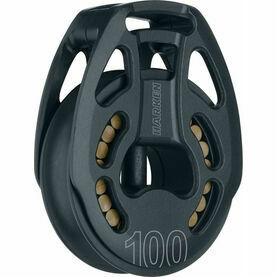 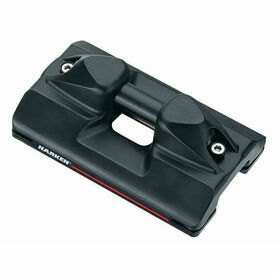 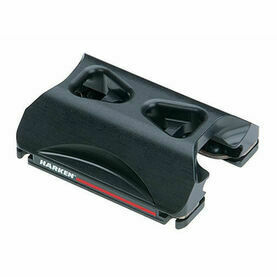 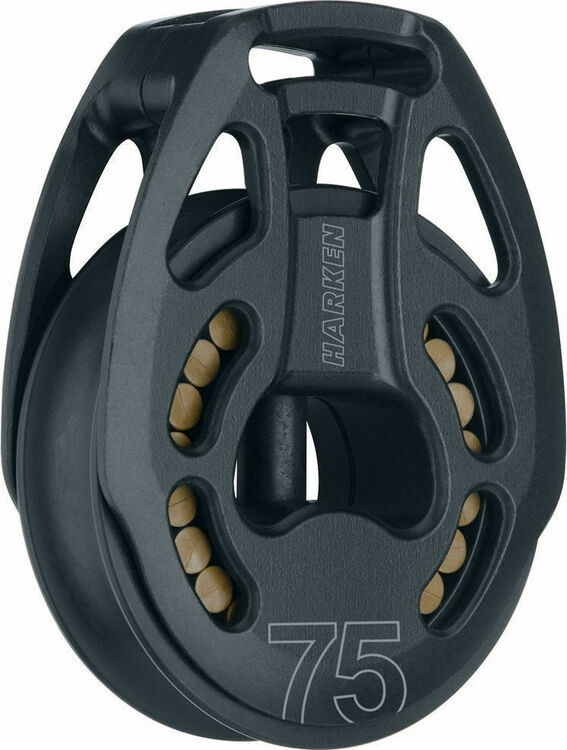 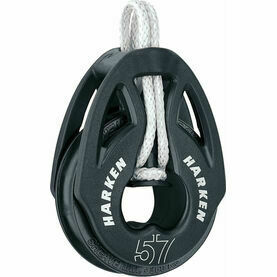 This 75 mm Aluminum Loop Block is part of Harken’s Black Magic line - a collection of boat blocks with unique mesh performance-packed engineering to suit big boat performance racers and cruisers. 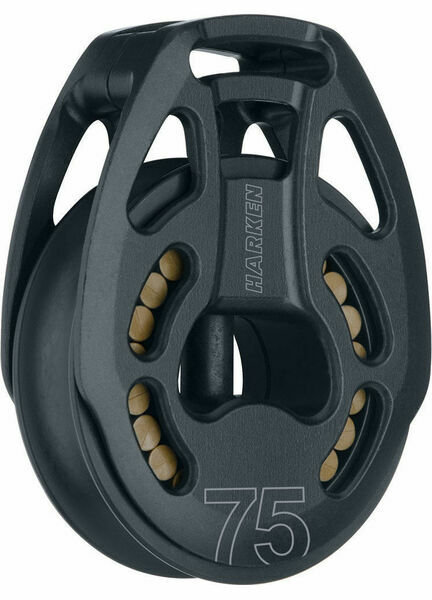 The main feature is the free-rolling high-load Torlon roller bearings, which achieve a high ratio of strength whilst keeping the block lightweight. The three-way head of this block swivels/locks in front/side positions, and the block itself can be easily dissembled with a single hex wrench. 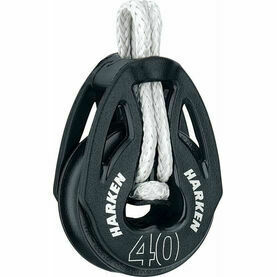 Widely used on sail controls for mainsheet, runner, halyard and spinnaker systems, these boat blocks are now a mainstay of the competitive ocean scene.